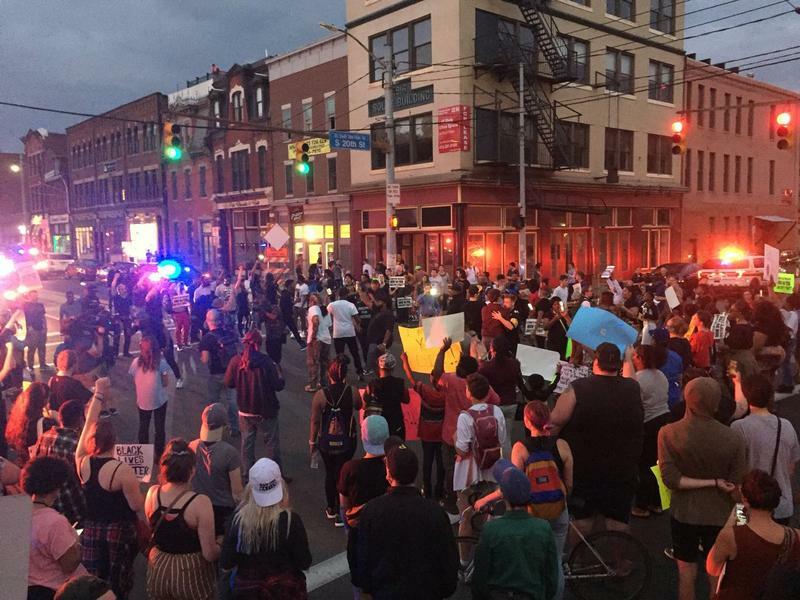 Demonstrators gather in East Liberty to call for justice for Antwon Rose on Sunday, July 1, 2018. 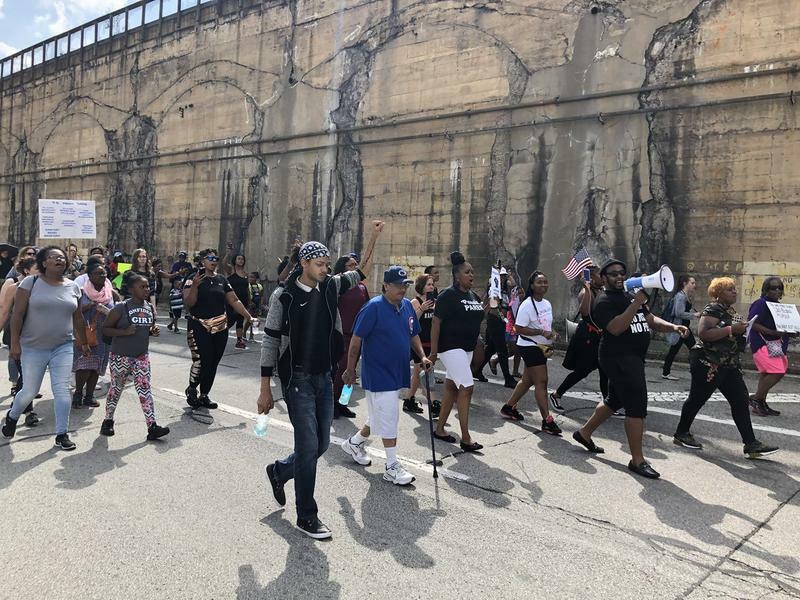 As religious services let out Sunday, churchgoers and members of the clergy gathered in East Liberty to answer a call for people of all faiths to rally around justice for Antwon Rose. 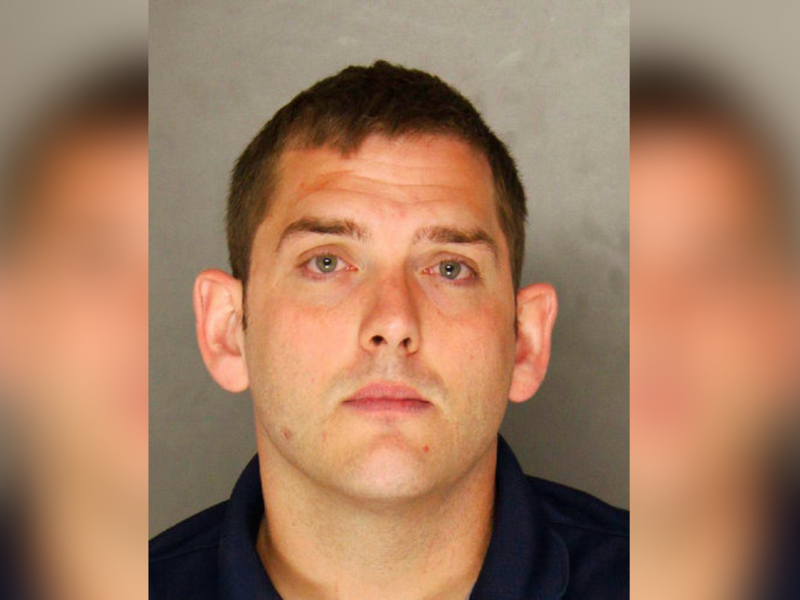 The 17-year-old was shot and killed June 19 by East Pittsburgh police officer Michael Rosfeld. Rosfeld was charged Wednesday with criminal homicide. 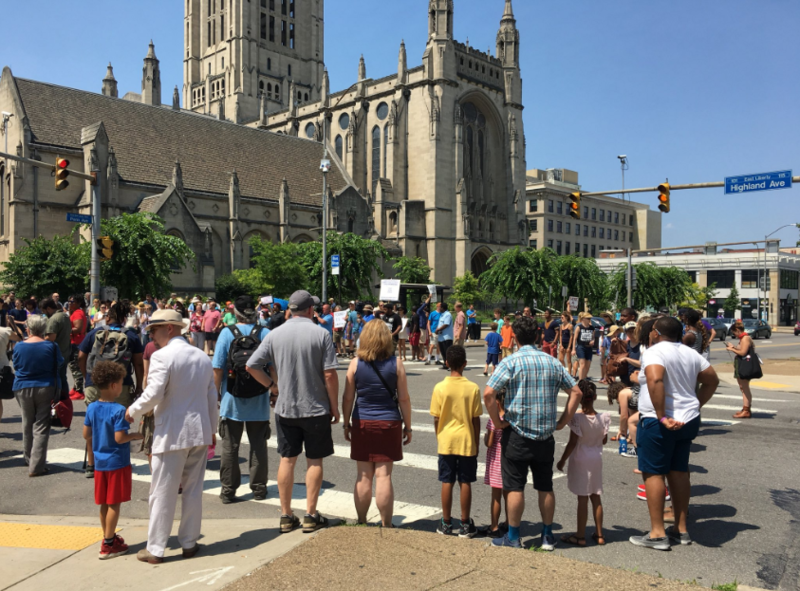 Participants at Sunday's rally gathered at the intersection of Highland and Penn Avenues and blocked traffic for more than two hours. Sunday's rally was sponsored by JUDAH Fellowship. It follows days of demonstrations in the wake of Rose's death. Rev. Shanea Leonard was one of the event organizers. “This is a faith rally, and I don’t care if Jesus was your savior, if Jesus was a heretic to you, if Jesus was a prophet to you, or if Jesus wasn’t real to you. For me, that don’t matter today. What matters is that we are here in one unified voice,” she said told the crowd. She called for Rosfeld’s firing and for his bond to be revoked. She added that she wants to see him charged with first-degree murder. The District Attorney's charge of criminal homicide is a generic one; a judge will decide whether Rosfeld will ultimately be charged with murder, voluntary manslaughter or involuntary manslaughter. Before 2 p.m., as the rally was wrapping up, protesters started marching down Penn Avenue and circled around the block as police followed. “Turn it up don’t turn it down, we do this for Antwon," some chanted. On Friday, the local branch of the NAACP held a town hall in Rankin to call for consistent policies across the 120 municipal police departments in the Pittsburgh area, following Rose's death. *This post was updated at 6:56 p.m. 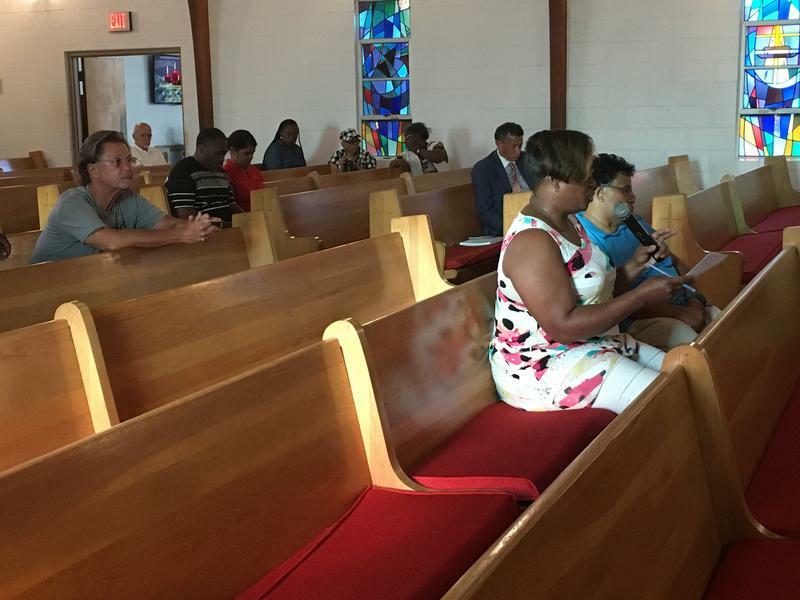 The local branch of the NAACP held a town hall in Rankin Friday evening to call for consistent policies across the 120 municipal police departments in the Pittsburgh area, following last week's fatal shooting of 17-year-old Antwon Rose by a police officer.